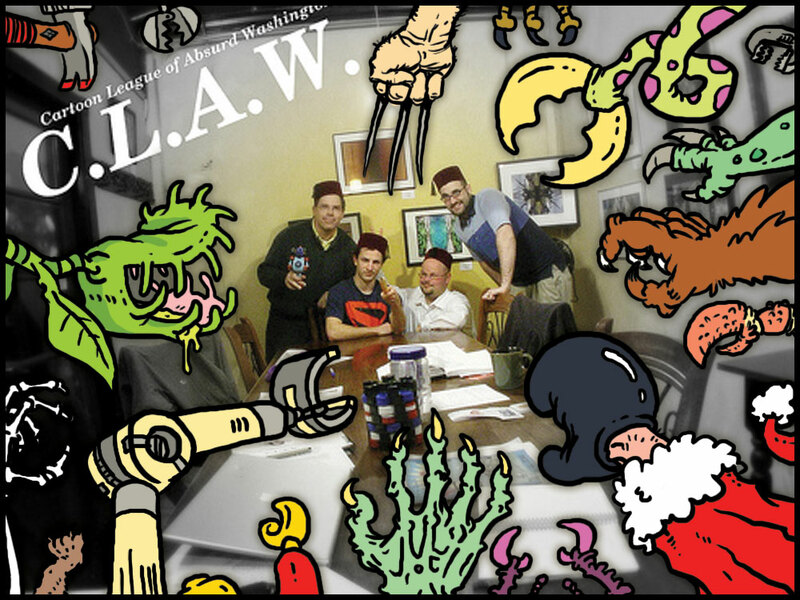 The CLAW ARTIST GUILD strives to unite and support creators and makers from cartooning, illustration, mixed-media, and beyond in Tacoma and the Puget Sound Region. Claw endorses an open art community that embraces alternative spaces and platforms for our art. Our mission is to build our own opportunities and foster our community through art shows, open art sessions, collaboration, instruction, and outreach. We believe that art should be fun and accessible to anyone that wants to participate. HOW TO JOIN CLAW – Become A Member! C.L.A.W. membership is a year dues of [updated 2/9/2017: $50.00 USD], due upon approval of membership. 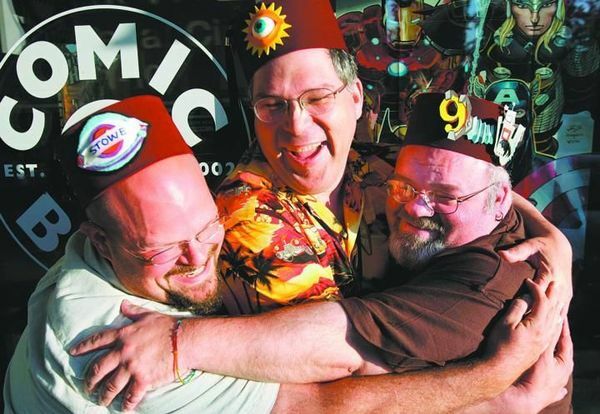 All membership applications are reviewed by the Council of Four Eyes, who in turn make a recommendation to the membership. Your entry into the sacred ranks of The CLAW is determined by work, and a majority vote of the membership. It is strongly suggested that you obtain a sponsor from within CLAW to plead on your behalf. If you don’t have a sponsor upon application, the Council of Four Eyes will appoint one to you. MEMBERSHIP BENEFITS: CLAW email list, PROFILE PAGE with access to our knowledge+talent pool, PARTICIPATION in community group activities, PUBLICATION in our quarterly alt-newspaper, PROFESSIONAL SKILL SHARE and PERSONAL SKILL CRAFT DEVELOPMENT. etc. etc. email your application materials to FOUREYES [AT] CARTOONISTSLEAGUE [DOT] ORG or drop them off at the next CLAW Open Swim public meet-up at Kings Books every 4th Wednesday (monthly) ! Returning Members can Renew and pay dues ONLINE! If you want to receive email updating you on the C.L.A.W.s secret activities, be the first to be warned of their Art-Attacks, meetings, events, and various other goodies before they are posted elsewhere, then you can LIKE our facebook fan page here. WHEREAS, Our membership, self-selected by the membership swears to adhere to the Constitution of the CLAW, to follow the Practices set forth in the Semi-Sacred Book of Rituals, to abide by the Rulings of the Council of Four Eyes, and to adopt such Amendments as set forth in its Constitution. After being sealed in a carbonite encrusted Phantom Zone for 40 trillion years, Electric Elliot broke free from his galactic prison to reign supreme over the planet Earth. Finding utter indifference to his intentions, Electric decided to settle down and attempt to live a semi-normal life. For more information about Electric Elliot, please consult the dictionary under “biblical”.